Atlantic and Paci? c telegraph cable worldwide. Today, Mackay has 36 lo- ments for all classes of vessels, includ- ship owners to integrate seamless elec- systems. 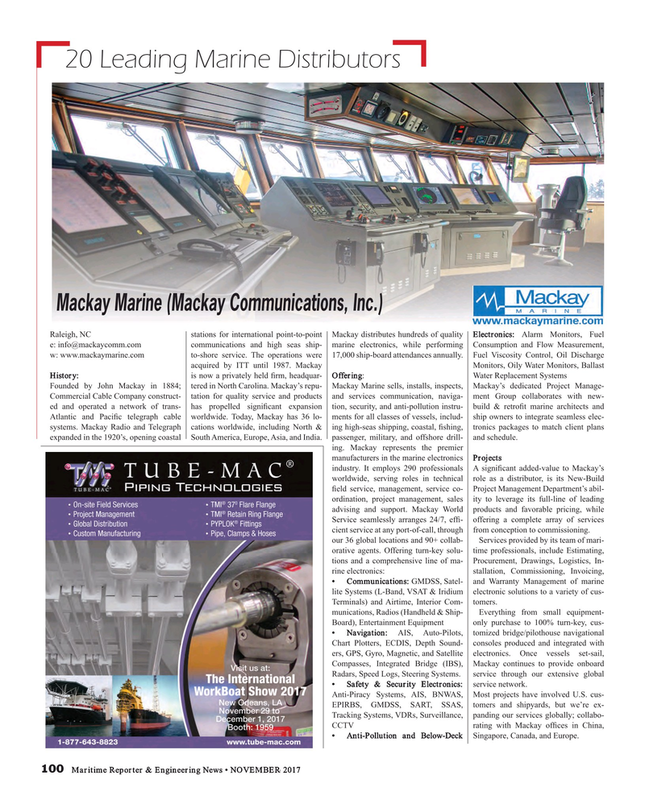 Mackay Radio and Telegraph cations worldwide, including North & ing high-seas shipping, coastal, ? shing, tronics packages to match client plans expanded in the 1920’s, opening coastal South America, Europe, Asia, and India. passenger, military, and offshore drill- and schedule. Radars, Speed Logs, Steering Systems. service through our extensive global • Safety & Security Electronics: service network.